Singapore is famous for its impressive city skyline, but certainly not for providing its residents and visitors beautiful beaches. There are a few decent and fairly quiet beaches on the western and eastern coast of Singapore Island, but they obviously weren’t good enough. So what to do if the nature doesn’t provide what you desire? Just build it on your own! So in Singapore’s case, they just build up a completely artificial island off its southern coast. 2 km in length, Sentosa is not only providing white sand beaches but more a big theme park with all different kind of attractions, including a Marin Life Park (which has the world’s largest oceanarium), the Universal Studios Singapore, a butterfly park, Fort Siloso, a big Merlion, a lookout, two golf courses and two five star hotels. A major tourist attraction is also the southern most point of mainland Asia. If you are wondering how that can be possible since Sentosa is an island – well techincally not: It is connected to the mainland with a big bridge. 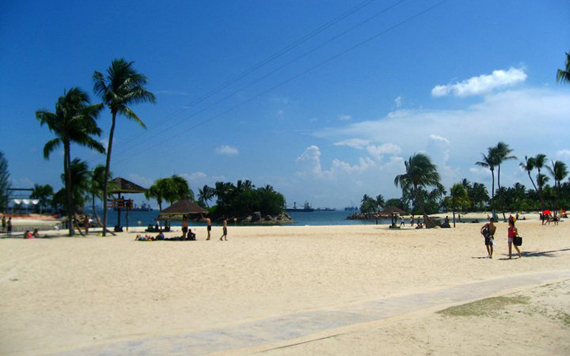 There is no entrance fee involved in entering Sentosa, however all these attractions have. The beaches are free though. Try to avoid Saturday and Sunday for your visit as it’s totally crowded as so many Singaporeans love to come here to hang out and relax on the beaches. As you can see on the picture, the beaches, as the whole island, are artificial. The big container ships just a few hundred metres off the beaches don’t improve the atmosphere either. Don’t get me wrong, Sentosa’s beaches are still nice, though you will see something different if you travel up to countries like Malaysia and Thailand. Here is the official Sentosa map. You can see, it is packed with all sorts of different activities and tourist attractions. You can find the full map here. These maps are also handed out for free to all visitors to Sentosa, so no need to print it out. 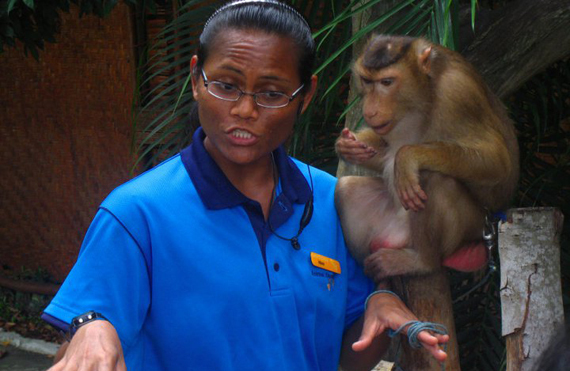 How to get to Sentosa?